Note: This project is no longer under development. 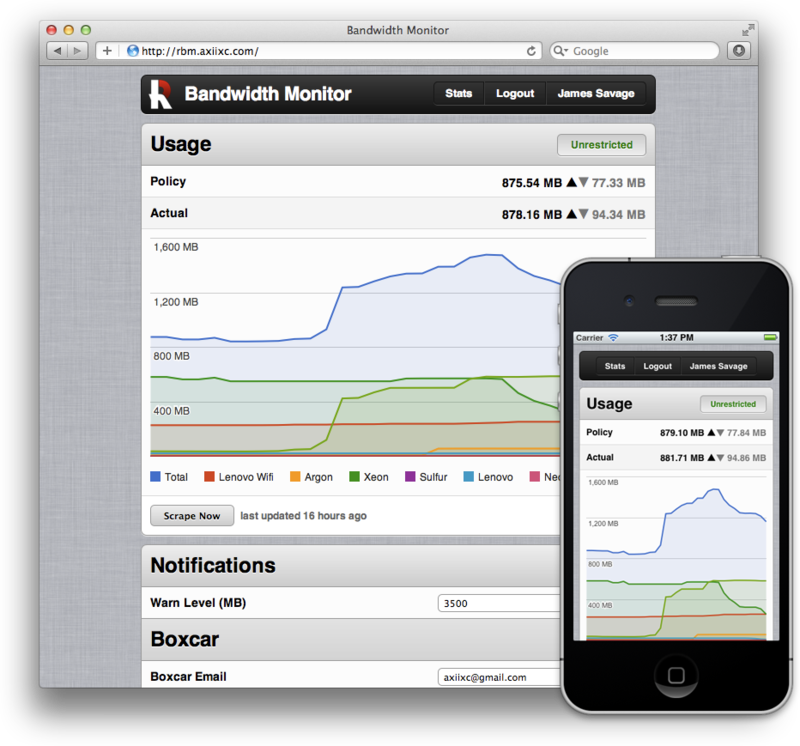 A Sinatra/Rails application which scrapes bandwidth usage for Rose-Hulman students. Rose Bandwidth aims to provide additional statistics about bandwidth usage and trends, along with reminders and warnings about current usage. It supports Boxcar, sending push notifications when a student nears or crosses their bandwidth allowance, and also when their access is restored to normal speeds. Rose Bandwidth also provides a graph of the past 36 hours usage, and keeps archival data for as long as it has been running. More work still needs to be done, however it is the eventual hope that even more use may come of this service.